An investigation into the beliefs speakers have about language-their de lingua beliefs-that examines the genesis of these beliefs and the central explanatory role they play in the use and understanding of language. Speakers, in their everyday conversations, use language to talk about language. They may wonder about what words mean, to whom a name refers, whether a sentence is true. They may worry whether they have been clear, or correctly expressed what they meant to say. That speakers can make such inquiries implies a degree of access to the complex array of knowledge and skills underlying our ability to speak, and though this access is incomplete, we nevertheless can form on this basis beliefs about linguistic matters of considerable subtlety, about ourselves and others. 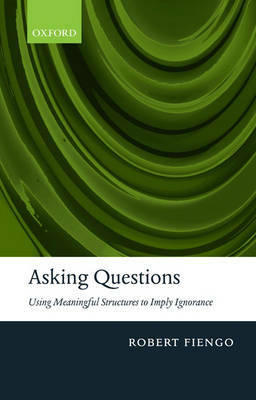 It is beliefs of this sort--de lingua beliefs--that Robert Fiengo and Robert May explore in this book. Fiengo and May focus on the beliefs speakers have about the semantic values of linguistic expressions, exploring the genesis of these beliefs and the explanatory roles they play in how speakers use and understand language. Fiengo and May examine the resources available to speakers for generating linguistic beliefs, considering how linguistic theory characterizes the formal, syntactic identity of the expressions linguistic beliefs are about and how this affects speakers' beliefs about coreference. Their key insight is that the content of beliefs about semantic values can be taken as part of what we say by our utterances. 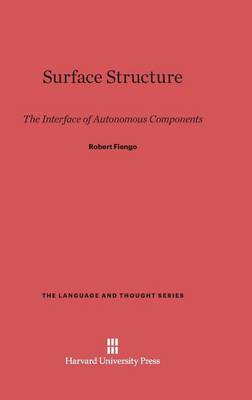 This has direct consequences, examined in detail by Fiengo and May, for explaining the informativeness of identity statements and the possibilities for substitution in attributions of propositional attitudes, cases in which speakers' beliefs about coreference play a central role. Buy De Lingua Belief by Robert Fiengo from Australia's Online Independent Bookstore, Boomerang Books. Robert Fiengo is Professor of Linguistics at Queens College and The Graduate Center, City University of New York.